This lovely poster advertises an early, influential, historical that was a leading national voice for the Democratic Party. 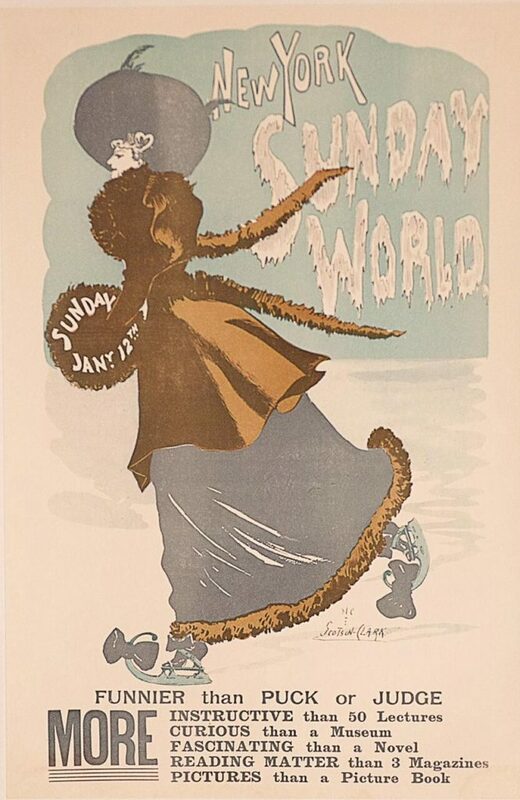 The New York World ran from 1888 – 1911 and became a pioneer in so-called “yellow journalism”, meaning that the focus hung on striking and excitable headlines and not stark, heavily researched exposés. Just like any well run newspaper, the Sunday issue was the highlight of the news week.